So, I guess here goes nothing. Folks in West Tennessee and within driving distance, I’m teaching a three-day, two-class combo in Ripley, TN at the end of the month. 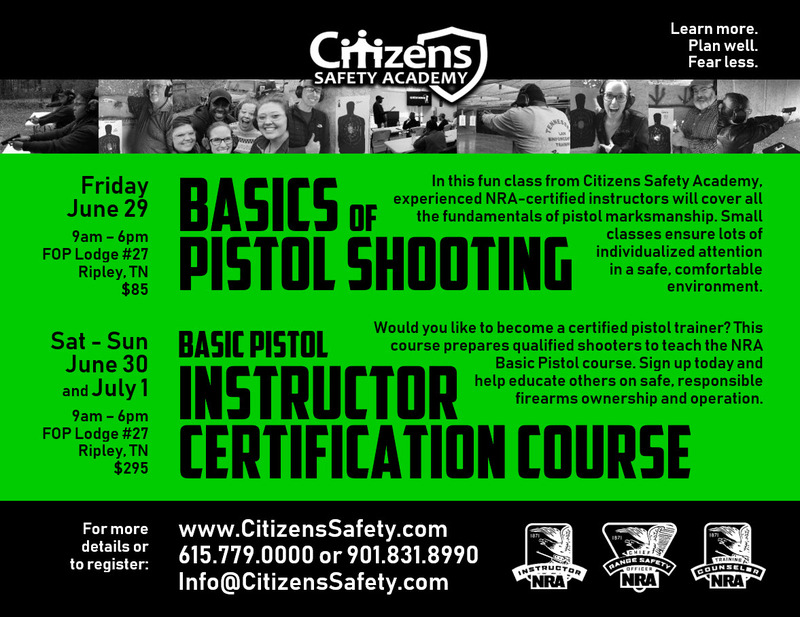 Friday, June 29th is Basic Pistol; and for those who want to beef up their teaching creds, that Saturday and Sunday (June 30 – July 1) is the NRA Basic Pistol Instructor certification course. I’m team-teaching with Aqil Qadir. Three cheers for Citizens Safety Academy! Click here to see the flyer, and here are the pics I posted on Instagram. Now, those who know me will agree that I’m a bit of a PowerPoint snob. So, I’ve taken the liberty of sprinkling a little pixie dust on the NRA’s rather Spartan slide decks. I do that for all my classes that come with a pre-packaged PPT file. Relax, NRA police; I haven’t changed the content. I’ve only tried to make it easier to digest and retain. I mean, let’s be honest. PowerPoints are useless if nobody in the class can read them. So, for most of the slides, I just enlarged the font (like, a lot). Oh, and I added pictures. Because nothing cures insomnia like walls and walls of text. Anywho… I hope a few folks will join me and Aqil for some good ol’ fashioned fun. We’ll get our learn on. If you or anyone you know is interested, please check out our class calendar. You can register right there on the website for these or any of our other classes. Thanks for indulging my moment of shameless self-promotion. If you guys don’t mind, I’ll try to post my classes here more often. Wish me luck! ← Wait, Otis McDonald is Black? Tiffany, thanks for posting this. I will be watching the calendar.